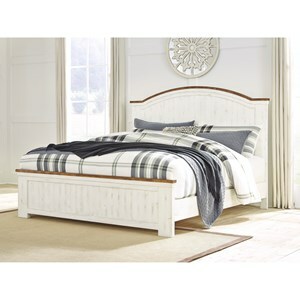 Featuring two footboard drawers and a relaxed transitional design, this bed brings both cozy style and storage to your bedroom. 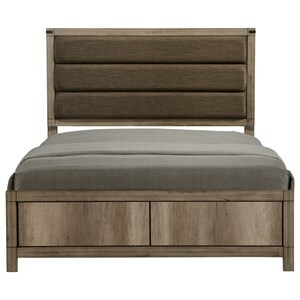 Details such as the metal accents throughout this bed add a rustic farmhouse feel to this piece. The paneled headboard along with the rich finish is a great way to center your room around traditional appeal and modern farmhouse style. 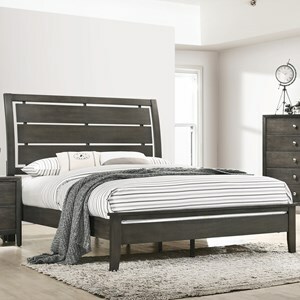 The Presley King Low Profile Bed with Footboard Storage by Crown Mark at Household Furniture in the El Paso & Horizon City, TX area. Product availability may vary. Contact us for the most current availability on this product. 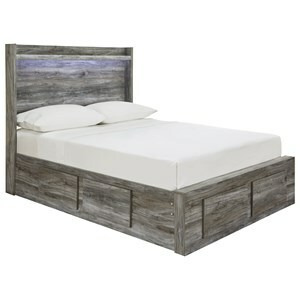 B3150-K-HB King Headboard 1 80" 1.4" 54"
B3150-KQ-RAIL King/Queen Rail 1 81" 1.9" 14.2"
B3150-K-FBD King Storage Fb/Drawer 1 80" 17.3" 18"
Keep your bedroom a cozy and relaxing space with this collection. The transitional design of these pieces have been infused with rustic details, creating a look that will instantly put your mind at ease after a long day. 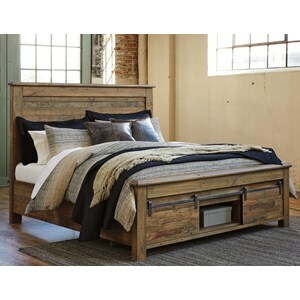 The Presley collection is a great option if you are looking for Rustic Transitional furniture in the El Paso & Horizon City, TX area. 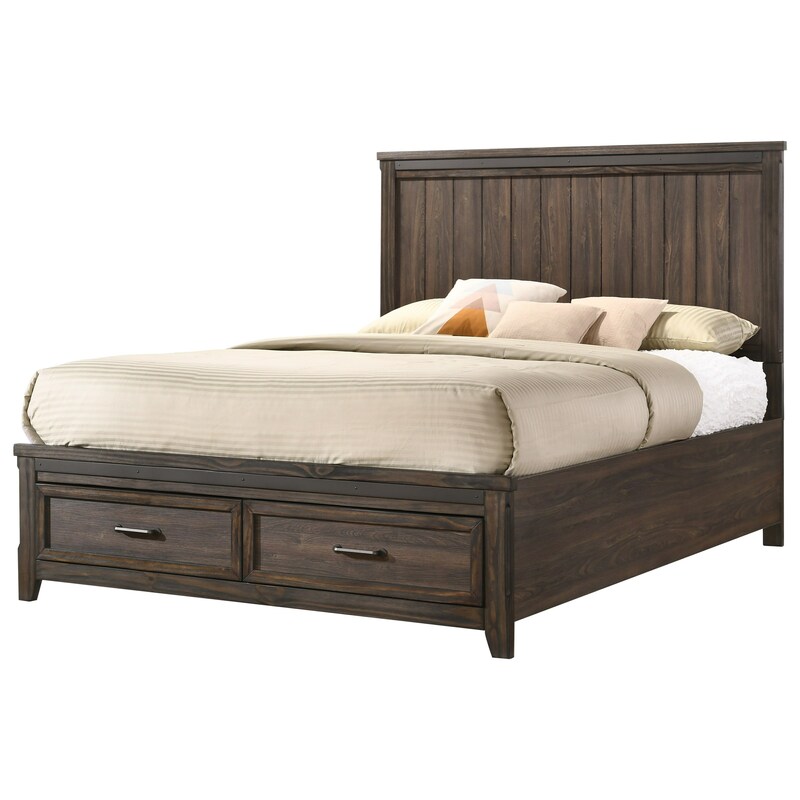 Browse other items in the Presley collection from Household Furniture in the El Paso & Horizon City, TX area.